Will Jakafi be priced out of the UK market? 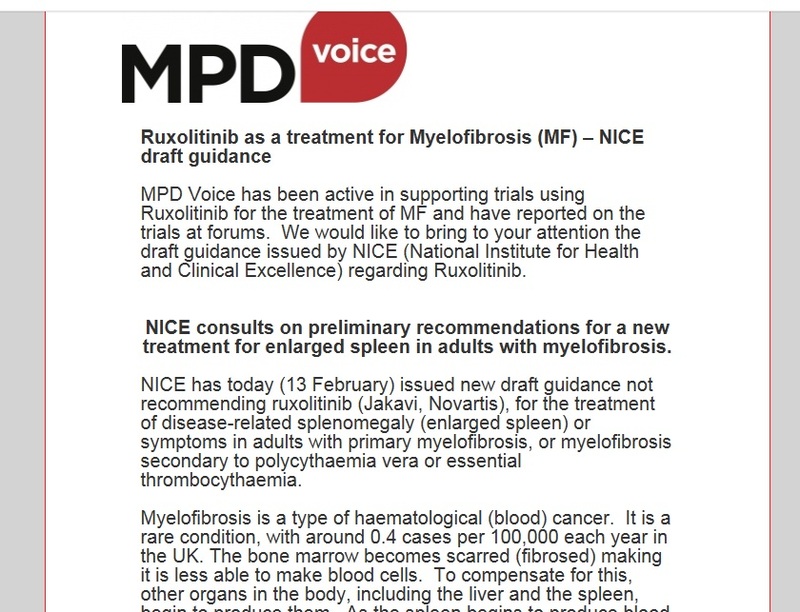 In what might be a glitch in the Cinderella Story of Ruxolitinib a/k/a Jakafi and Jakavi, a draft guidance from an NHS oversight body places into question the cost-effectiveness of the drug, the very first approved treatment for symptoms of myelofibrosis. Evaluating a drug based on its cost “per quality-adjusted life year,” is chilling to read but may be a fact of life in a time of shrinking budgets and rising demand. Dr. Claire Harrison’s comments on the recommendations, immediately follow. Thanks to MPD Voice for posting this…and Chris Harper for making sure we saw it. I am hoping this is not the end of the story and that the NICE group in the UK will be convinced to reverse its recommendation. But, of course, Novartis and Incyte and to review their pricing too. Thanks to UK’s Socialized Medicine it’s “bean counters” rather than medical personnel making medical decisions. The so-called Affordable Care Act in the US could send us in the same direction. Jakafi has saved my life. I was almost gone with a spleen of 25cm in length and I weighed barely 100 pounds when I was given Jakafi as part of the Comfort I Study in 2010. In four weeks my situation had begun to reverse itself and I was able to eat, was gaining weight, and had a rapidly shrinking spleen. Thanks to Jakafi, I am still here and thriving. My two young granddaughters almost had to grow up without a grandma. If we lived in the UK, that would be the case. How sad to think of the meaningful lives that would be lost because some “bean counter” was able to make medical decisions for senior citizens. What a bummer to read about the NIH turning down Jakafi because of cost and it does not add extra life any more than current therapy. Well, I suppose those patients in pain and dying will be refused morphine since it Woolf not prolong life. INCYTE has got to get the costs down. Jakafi has significantly improved Joe’s symptoms thus he has Quality of Life.